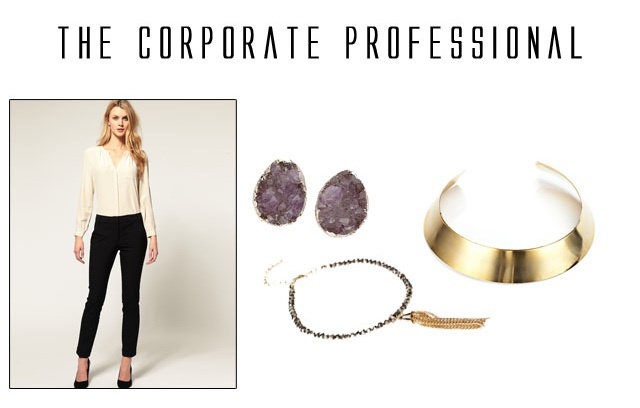 There’s no doubt that dressing for the corporate world doesn’t seem like the most exciting endeavor but there are plenty of ways to let your chic personality shine in the workplace. The uniform of the skirt-suit or pant-suit gets a bit stale as the weeks wear on, and even casual Fridays do little to inspire. Do not despair worker drones HOPR is here to give you a few tips on spicing up that sometimes mundane routine of dressing for work! In the corporate world certain rules must be followed: nothing see-through, too short, tight, or revealing; its an office not a club so make sure your attire is tailored to fit your environment. When shopping, keep in mind that fit is key as it concerns your foundational pieces and use your accessories to express yourself and your unique personality. Keep your accessories interesting but also simple enough so that they aren’t to distracting to you coworkers and superiors. In the Creative Industry much like the corporate industry the same rules to dressing apply: Nothing too tight, short, sheer, or revealing, however you’ve got a lot more wiggle room in terms of creativity with your accessories. 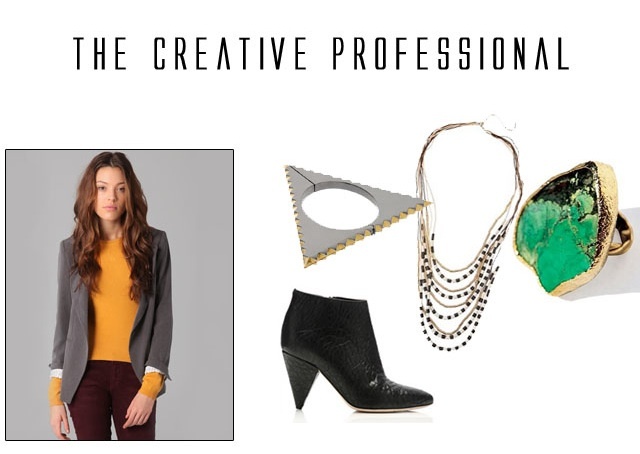 Try pairing your work separates with unique accessories, mixing color, pattern, and texture to add interest. ← Bored of the usual Cat-Eye look?